While the springs in your garage are incredibly strong and work hard to open and close the door each time you use it, there are a number of problems that can occur when it comes to this component of your door. Organize repairs right away with our professionals in Beverly Hills, CA if you notice problems with your door's usual operation, especially if you think these issues could be spring related. Calling an expert early could save you money and frustration in the long run. 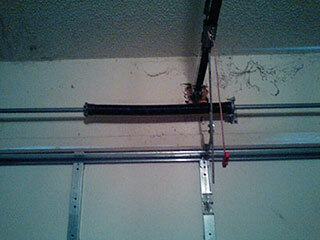 Even though door springs are incredibly strong and well built, over time they may actually stretch out. It can be difficult to see the effect of this on the door until obvious problems arise when it comes to the opening and closing operation. If this occurs and you can't immediately identify the problem, you will need to book an appointment as the problem could be that a spring needs to be replaced. If not dealt with, this can become a much larger issue later on. This problem is usually more obvious. A broken spring will make it so that your door opens in a jerky manner or won't open at all. Generally, it is older types that break, although newer ones can snap if they were installed incorrectly, or were not the right kind for the door you currently have. In order to keep springs working to their full potential, it's important to make sure they are well-lubricated and maintained during their lifetime. Of course, not just any lubrication will work - it's important that the correct kind is used to ensure the spring works properly and doesn't conversely become damaged by the wrong kind of lubrication. At Garage Door Repair Beverly Hills, we are aware of all of the common problems that homeowners tend to face when it comes to their garage door springs. Anytime you have a problem with your door, give us a call and receive a professional service you can trust. Don't put yourself at risk by trying to make repairs yourself, call us today!